What to do to prevent gum disease? If left untreated, gum disease can lead to discomfort, infection, and even tooth loss. Bacteria in our mouths form a film called plaque. Plaque sticks to our teeth and can lead to gum inflammation. This inflammation can cause our gums to pull away from the teeth creating “pockets” which are home to infection and result in tooth and bone loss. Since the early stages of gum disease are often invisible, what is the secret to keeping our gums healthy? Luckily, there is no secret to it at all! Preventing most gum disease is a simply a matter of following well-known guidelines, at home and in our Belton, Texas office. At least two minutes of careful brushing twice a day will help reduce bacteria and plaque. Use floss, picks, and other interdental tools to remove plaque from tight areas between the teeth that your brush might miss. If you smoke, now is the time to quit! Smoking weakens your immune system, making it harder to fight infections and to heal. If you need another reason to quit, improving your oral health is a great one. Talk to us about ways to stop. We all know sugar is no friend to dental health, and encourages bacterial growth. But eating apples, carrots and other crunchy vegetables can help remove food particles and stimulate the production of saliva, which fights bacteria production. Vitamins and minerals help strengthen bones and build healthy gum tissue. And a balanced diet supports not just your oral health, but the health and well-being of your entire body. Ask us for suggestions for a dental-healthy diet. We recommend a visit to our Belton, Texas office every six months for a checkup. Arunava Chakravarty can discover and treat gingivitis (early periodontal disease) and recommend a periodontal exam if there are signs of more severe gum disease. There are some individuals who develop gum disease even with great brushing and flossing habits, so it’s important to have a dentist’s evaluation. Having your teeth cleaned every six months will remove plaque that brushing alone can’t handle. If there are signs of more serious gum disease, a periodontal cleaning will remove plaque and tartar from both above and below the gumline. Brushing, flossing, avoiding smoking, eating well, seeing Arunava Chakravarty regularly—there’s no secret here! 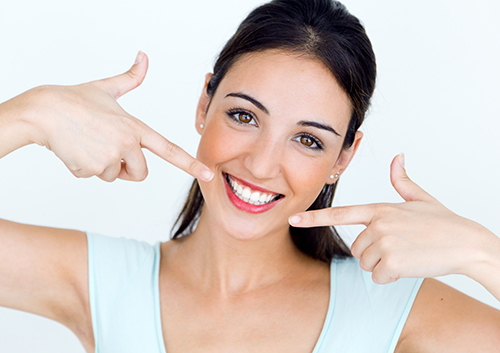 Talk to us about what you can do and what we can do to keep your gums healthy for a lifetime of beautiful smiles.